For tooth loss patients, a new set of well fitting dentures can improve chewing and speaking as well as provide a more natural looking and complete smile. 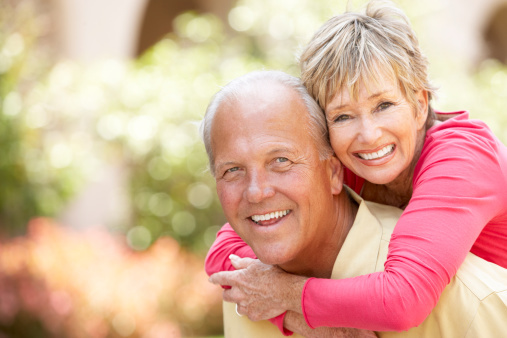 Every few years, a new set of dentures are a necessary investment in both your good dental health and self-esteem. But even if you regularly replace your dentures, you may still need denture repair or adjustment. Biting down on hard to chew foods or dropping your dentures can crack the base, chip a tooth, or otherwise render them unusable. If this happens, you may be tempted to use an over-the-counter dentures repair kit, but this is never a reliable solution. If you need denture repair or new dentures, you can make an immediate dentures restoration appointment with Dr. Nichols and Dr. Collins at Premier Walk-In Dental today. Premier Walk-In Dental delivers quality care daily throughout Rockledge, FL, Cocoa, Satellite Beach, Merritt Island, Viera, to Suntree, Melbourne, Palm Bay, and the surrounding communities. Partial Dentures: Partial dentures can be used to replace groups of teeth or a few teeth scattered across the lower or upper jaw. All partial dentures are secured by the remaining teeth and have a gum-colored portion that blends with your existing gum line, with prosthetic teeth attached. Full Dentures: Full dentures are similar to partial dentures in that they consist of prosthetic teeth and gums. The main difference is that full dentures are a total replacement system for either upper or lower teeth and, in some cases, both. Do You Have Ill-Fitting or Broken Dentures? Advancements in modern dentistry have made many improvements in the fit and appearance of dentures. They are more natural looking and comfortable than ever before. If you need new dentures, or denture repair, you can schedule an immediate denture restoration appointment with Dr. Nichols and Dr. Collins at Premier Walk-In Dental today. Premier Walk-In Dental proudly renews smiles daily throughout Rockledge, FL, Cocoa, Satellite Beach, Merritt Island, Viera, to Suntree, Melbourne, Palm Bay, and the neighboring areas.